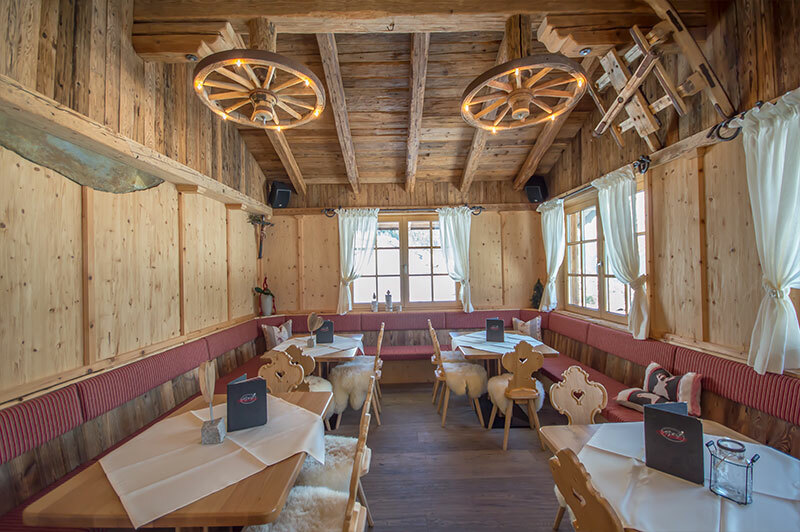 A warm welcome in the restaurant Bergzauber in Sölden, the new favorite address for active connoisseurs. 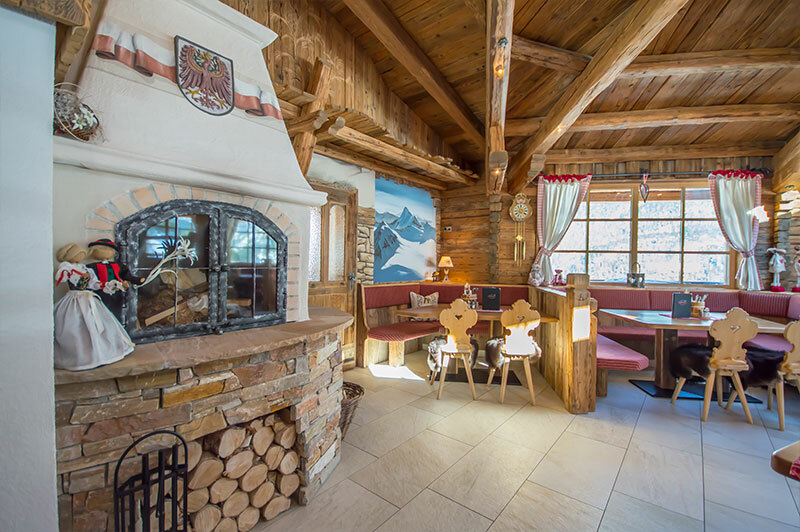 We await you in the heart of the Ötztal Alps with a warm and romantic hut atmosphere and wonderfully uncomplicated luxury! The mountain magic is a special, from 400 years old wood 2011 built hut. The course, close to the edge of the forest, is located not only directly on the Gaislachkogel valley run (ideal as an apres-ski get-together for skiers in winter), but also near the panorama trail for hikers and pedestrians. It also offers a magnificent view over the whole place. With lots of loving details, years of planning, hard work, and collection of ideas, it’s the perfect place to spend a few hours relaxing, taking the time to enjoy the silence and beauty and escape from everyday life. 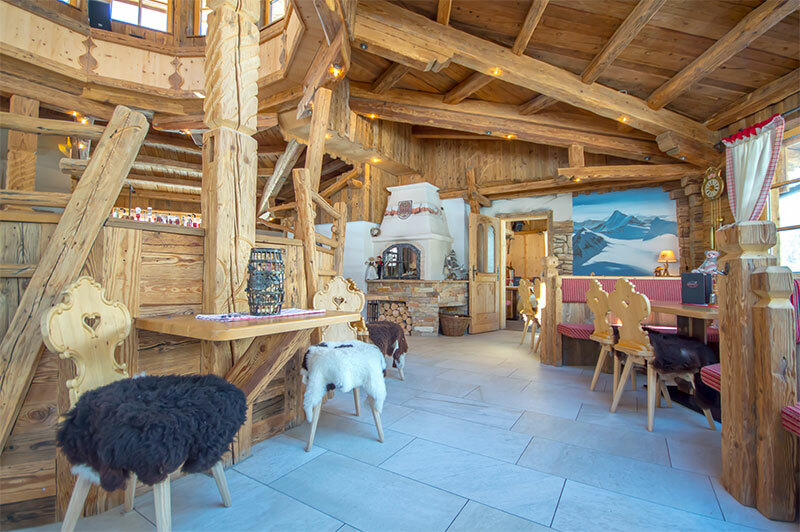 Located at 1,510 m above sea level, the mountain magic is the ideal meeting place for hikers and skiers in beautiful surroundings and thus a great address for a romantic holiday in the Ötztal Alps! Celebrate with us! 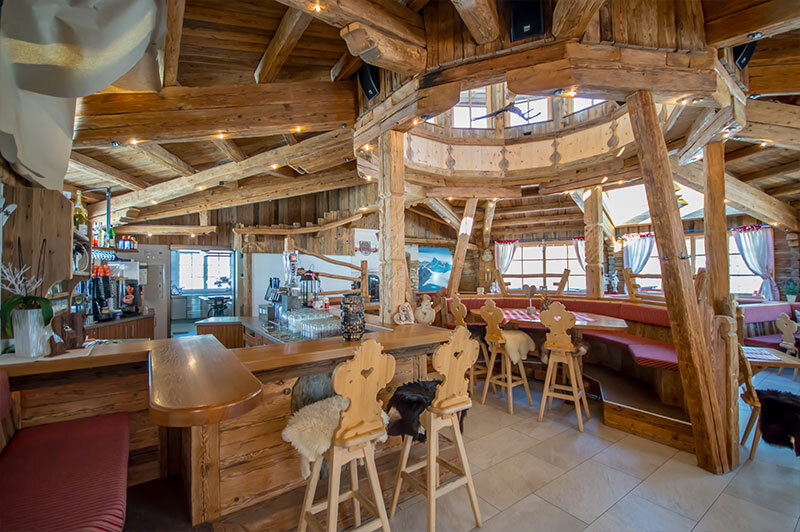 The magic of the mountains offers an atmospheric setting for every celebration, such as … hut evening, company event, class reunion, hen party, Christmas party, brunch, christening, carnival party, wedding, birthday party. From buffet to the served gala menu: your feast should also remain unforgotten culinary! We are happy to organize deposits, live music, and taxi service to the valley. We are already well-known for the excellent cuisine, the peaceful atmosphere and the warmth with which we look after our guests. In a rustic, yet stylish ambience, we serve more than cottage food. Surprising variety, always freshly cooked and homemade, brings every guest also culinary to higher regions. We select the ingredients wisely from local organic suppliers. Selected wines, Tyrolean beer, noble juices and crystal-clear spring water quench your thirst. Surrounded by tradition and romance, it can be dignified and noble at the same time, amidst the testimonies of ancient craftsmanship and the tangible spirit of diverse sociability. The finest from the kitchen and fine wines from the cellar develop in such an atmosphere even more heavenly. 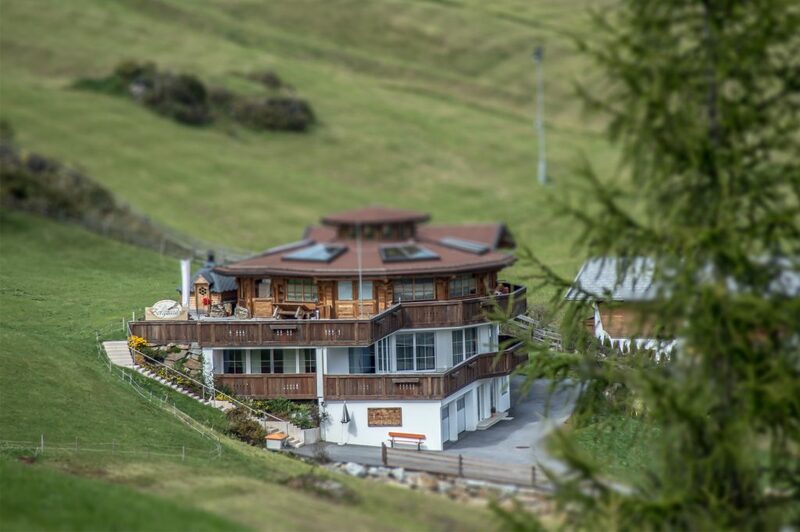 “The holiday goes through the stomach.” What is right for the love, is also valid for your stay at the Alpenrestaurant Bergzauber. Our chef and his team are inspired daily by our beautiful landscape to spoil your palate with plenty of beauty for the eye. For us it does not matter how many stars, hoods or other awards we get for our kitchen. What really matters to us is that we inspire our guests. That is why we attach great importance to the quality of our food and the highest level of service. 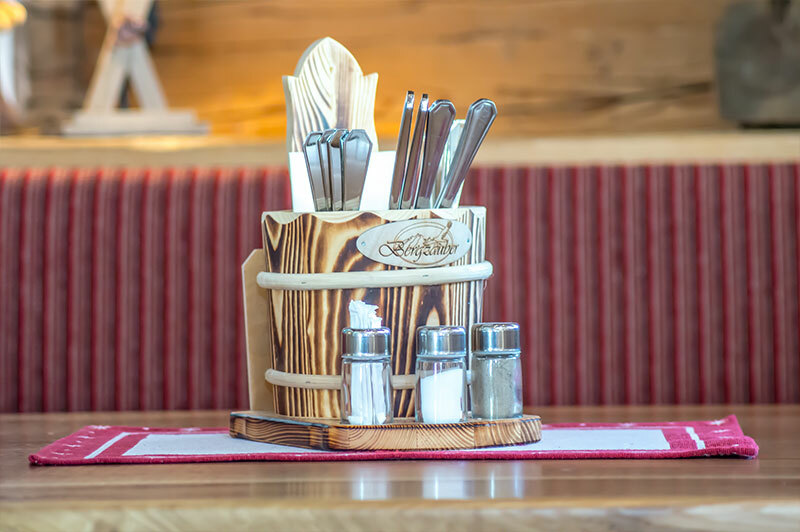 All our dishes are “seasoned” with attention to detail, friendly service and a relaxed atmosphere. The right wine is also part of every occasion – in the Bergzauber restaurant, the combination of a lovingly compiled wine list and the wine cellar that is stored there will ensure that you will find the right drink for every gourmet meal. Outstanding wines from Austria, Italy, France and the New World are selected by the in-house Jung-Sommeliérin for you to buy. Our wine list is international and varied as our guests. Finely distilled schnapps from Tyrolean farmers, including, of course, domestic insider tips such as gentian root, Zirbe, hazelnut, cranberry brandy and the oldest apple brandy in the world.